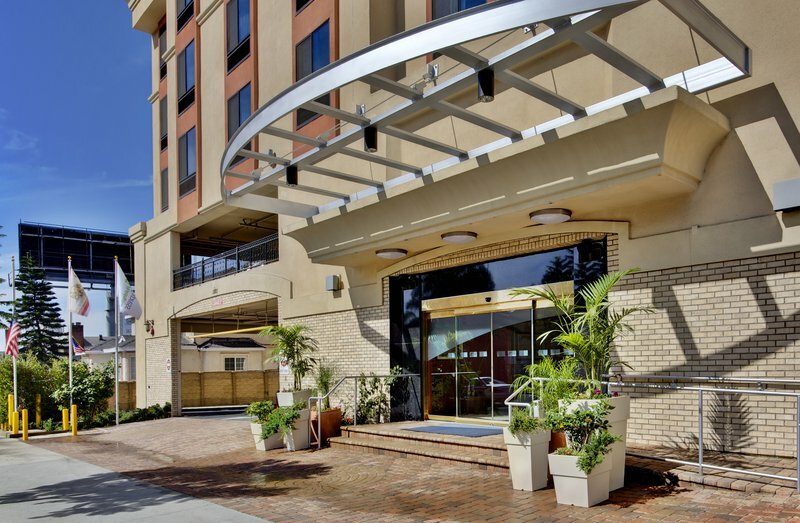 Holiday Inn Express Hotel & Suites Hollywood Hotel Walk of Fame is an appealing destination for visitors who desire a stylish getaway in California. The hotel is situated in the heart of the iconic Hollywood, making this an ideal getaway for family, solo and corporate travelers. What’s more, the hotel is close to numerous entertainment getaway, so there is never a dull moment during your stay. The hotel’s precise address for anyone who is interested is as indicated: 1921 Highland Avenue, Los Angeles, California 90068, USA. For the duration of your stay, take time out to sample the famed historic attractions that dot Hollywood’s landscape. Stroll on the Hollywood Walk of Fame and marvel at the permanent reminder of your favorite stars’ accomplishments. Universal Studios await you for an exciting experience that gives you a glimpse into all the action that goes behind making your all-time favorite movies. Beverly Hills is best known as a melting point for glitz, glamour, high fashion and opulent living, so do make time to visit this attraction. Venice Beach is any visitor’s playground, thanks to the pristine beaches and the ocean’s beautiful waters. Here, you can indulge in a number of outdoor activities: think fishing, surfing, beach cycling and evening walks. Sunset Strip is the perfect location to enjoy retail therapy with its swanky boutiques, delightful hotels and rock clubs. This is also the place to party the night away if the vibrant night clubs with throbbing sounds are anything to go by. Look out for the large colorful billboards, undoubtedly a quintessential part of shopping. Other attractions include Paramount studios, Rodeo Drive as well as Santa Monica. Back at the Holiday Inn Express Hotel & Suites Hollywood Hotel Walk of Fame, there are convenient facilities designed to make your visit as memorable as possible. The modern lobby area welcomes you in a way that remains etched in your mind forever. While at the hotel, you need not give up your exercising plan with the availability of the modern fitness center. The business center is well-designed to take care of corporate travelers, and complimentary Wi-Fi helps ensure that you carry on with your business even while traveling. Ample parking is available at a fee to offer you great peace of mind. Relax away as you catch up with your favorite reads by the magnificent outdoor pool, or simply dive in to cool off. Other amenities include laundry services, concierge services and a cash machine. This contemporary hotel offers great accommodation options. Select any of the guestrooms with the choice of two queen size beds or one king size bed, all fitted with comfortable triple sheet bedding. The rooms also have flat-screen TVs for you to catch up on your favorite movies, a fridge to chill your drinks and a work desk where you can easily get some work done. Premium services include free newspaper, complimentary lunch and snacks as well as cable TV. Holiday Inn Express Hotel & Suites Hollywood Hotel Walk of Fame is a family friendly hotel that offers the best of L.A’s charm in a relaxed setting.